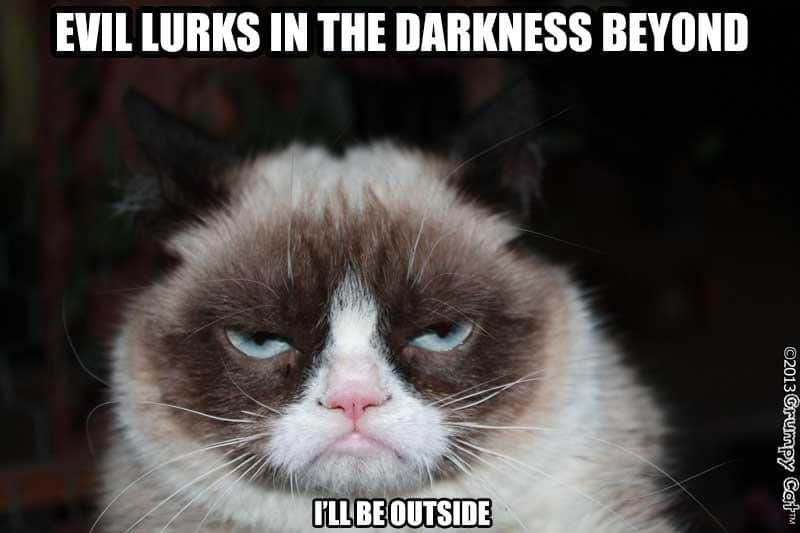 If you are on Facebook, chances are you’ve seen Grumpy Cat. I’m a fan of the page and am always sharing pictures with my friends. They are hilariously cute! I can’t get enough of Grumpy Cat! Grumpy Cat’s popularity skyrocketed after a photo was shared on Reddit in September 2012. I think she may just be the most famous cat on the Internet….everyone knows that adorable face. 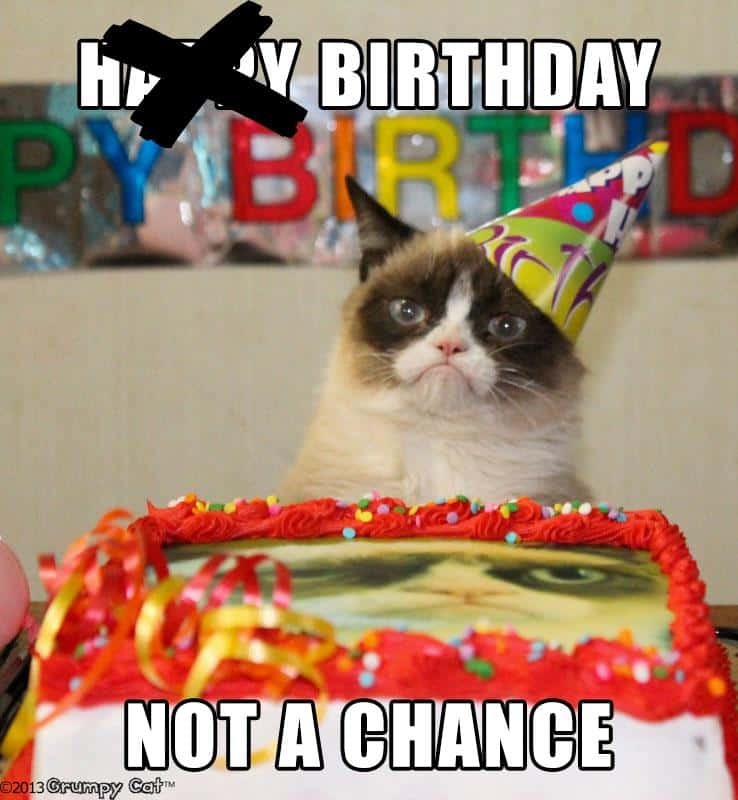 Grumpy Cat’s real name is Tardar Sauce and she’s one year old. In fact, she just celebrated her first birthday on April 4. She’s a mixed breed with some Persian, Ragdoll, or Snowshoe. She looks nothing like either her mother or father. All I want to know is where can I get myself a Grumpy Cat????! Grumpy Cat has an official site where you can find photos everyday aptly titled, “The Daily Grump”. There’s also Grumpy Cat merchandise you can buy including t-shirts, coffee mugs, playing cards, and more. Grumpy Cat may be frowning, but everytime I see her, I can’t help but smile. Just look at the cuteness. 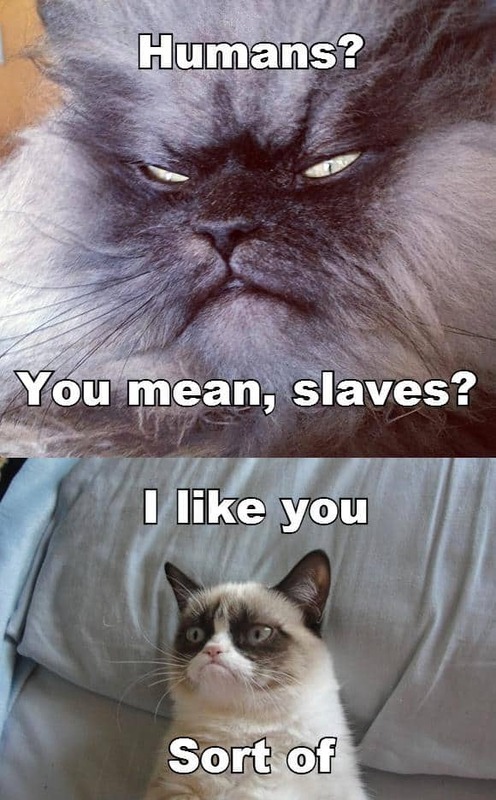 These are a few of my personal favourites of the Grumpy Cat meme. 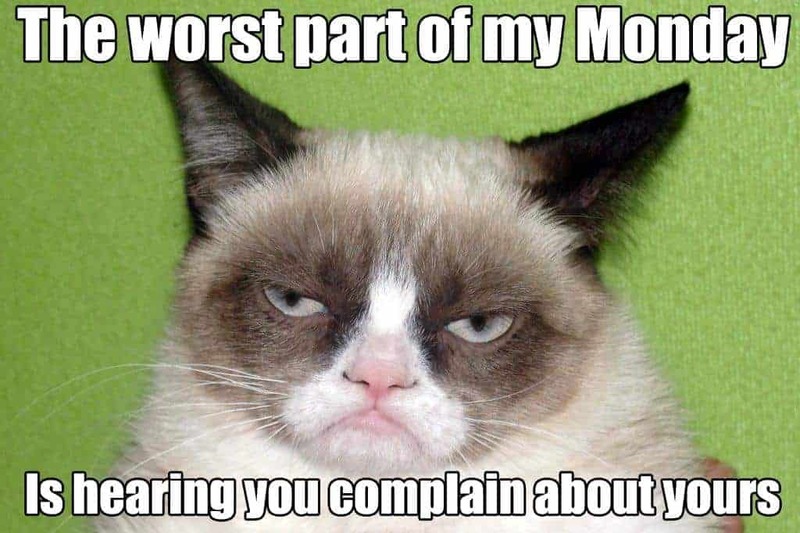 Need more Grumpy Cat? Be sure to like on Facebook and follow on Twitter, YouTube and Instagram. My daughter has a cat that looks even meaner than this one. She isn’t the nicest cat in the world either but to just look at her, she looks miserable. She is a persian and my daughter had her sister as well but looked nothing like this one and not mean at all. I’m not much of a cat person. Cats have the attitude much like “Humans? You mean slaves?” There’s another saying I heard : Dogs have masters. Cats have staff. 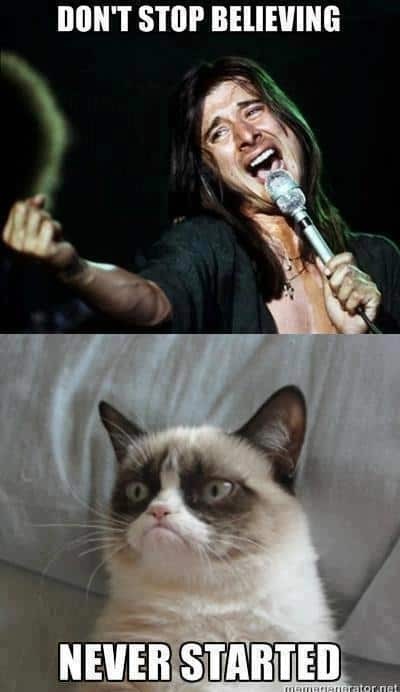 Aww, I love grumpy cat. I love my cats. I love all cats and know that they are misunderstood by a lot of people. I think you have to know how to bond with them to really appreciate how much they appreciate. I love Tard. She is awesome. I think she would love my dog because she is a grumpy dog. This cat is adorably cute and I have seen it. I have 3 cats and I love how cats show so many things in how they react and look. I love to study them by just looking at them. Thanks for the info!! Some cats, especially Persians, just look so mean on the outside, but that is not how the cat actually reacts to people. These are great photos and made-up thoughts . It’s kind of strange that they could get so many photos of the cat, and always looking ‘grumpy’. Most cats don’t stay still that long to get a good shot. Who doesn’t LOVE Grumpy Cat?! I’ve heard a lot about Grumpy Cat, but didn’t know it was based on an actual cat (Tardar Sauce). Thanks for the info tidbit. I never get tired of seeing Grumpy Cat. He’s the best! I love that cat. It is amazing the look on its face. I have 3 cats and they really do have their own personalities. Great pictures! 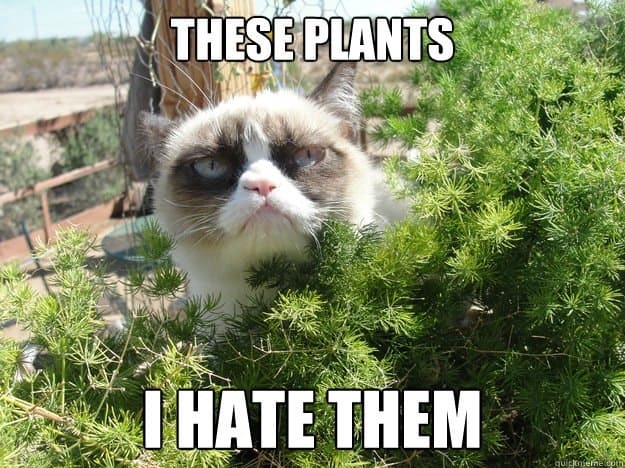 I love Grumpy Cat….he’s so adorable. Wanna just hold him and cuddle and scratch under his cute little chin!! I have a cat named Hershey and he’s not grumpy but can be finicky!! Especially when havin his dinner. I have had many cats but this is the first one that will NOT eat any fish flavor dinners!! Strange one he is. But I love him. I just love Grumpy Cat!! They are so unique and all tho they are frowning, ya just can’t help but wanna cuddle him!!. I’d love to have one for a pet. Tee hee hee thanks for sharing all those adorable meme’s! TOO CUTE! I crazy LOVEEE Grumpy Cat and so does my husband, actually. … ok.. well we are crazy obsessively in love with all animals and wish they would all let us kiss them on the lips but Grumpy Cat is way up there even if he’d be mad about kisses. lol. I love Grumpy Cat, too. He is hilarious! If all the money that was spent in America on dog and cat food went to feed children alone, we could wipe out food insecurity for so many families. Think about this… if every time we buy a bag or a can of cat food or dog food, every cat or dog toy, every cute little outfit, we set aside an equal amount of money to donate to our local food bank. They have the contacts to spend more frugally than we can. It’s vital that we continue to bless children in the Sudan, Ethiopia or other foreign countries, BUT, look around people. There are undernourished children in Appalachia, San Antonio< Chicago, New York City, and even Small Town, America..
Oh my gosh I love Grumpy Cat!! I send these memes to my sister like once s week, and now I found some more good ones wohoo!! Awe,I just love this cat ! I love grumpy cat, she is so cool. 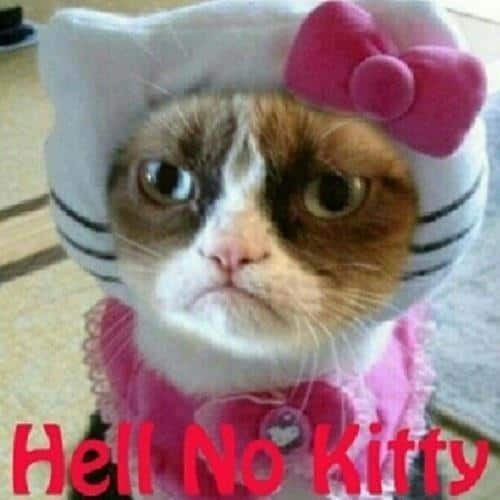 I like Grumpy and his quotes especially the Hell no Kitty one LOL Often wonder if hes really a grumpy mean old cat ?